The RA Series electrical rocker switch offers an illuminated option with a choice of SPST or SPDT. Multiple switch function options are available with terminal options of quick connect/solder lug, PC pins, right angle PC pins or left angle PC pins. The versatile RA series panel mount rocker switch offers multiple housing color, actuator color and actuator marking color choices. 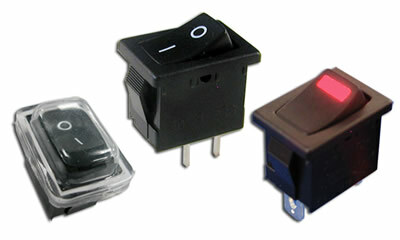 Customize your SPST or SPDT rocker switch today. If you're interested in more visible illumination options, check out the off/on rocker switches from our RC series.